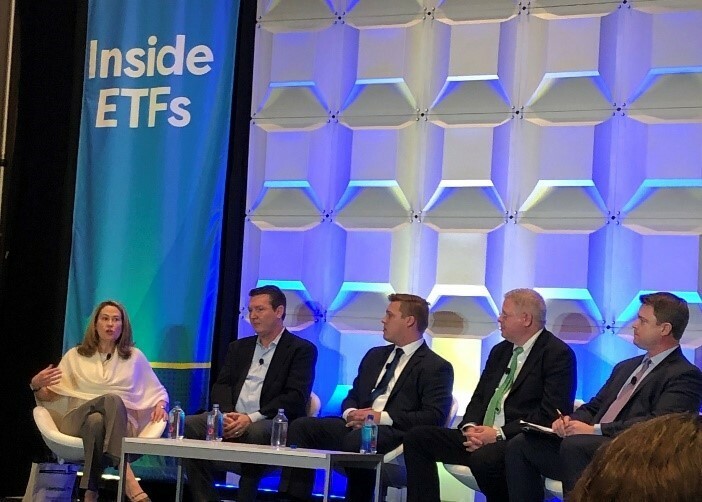 Last week, the Toroso Research team attended Inside ETFs in Hollywood, Florida. Close to 3,000 ETF Nerds gathered to discuss ETF industry trends, growth, and challenges. In early 2018, the equity and crypto market euphoria set a dystopian tone at the conference, which we chronicled in last year’s coverage: Fear and Loathing in Hollywood, Florida. In 2019, the tone is different. Although ETF growth has become a self-fulfilling prophecy, there has been sobering recognition of industry competition and revenue challenges. The conference began on Sunday February 10th with one of our favorite panels on “How to Launch an ETF” with our friend Chris Sullivan as moderator. For a Sunday afternoon, the attendance for this panel was surprisingly robust and with only standing room available for late comers. The conversation inevitably moved from “How to Launch” to “How to Grow an ETF”. Panelist Charles Ragauss referenced our affiliated company, Tidal ETF Services, which helps companies launch and grow ETFs. 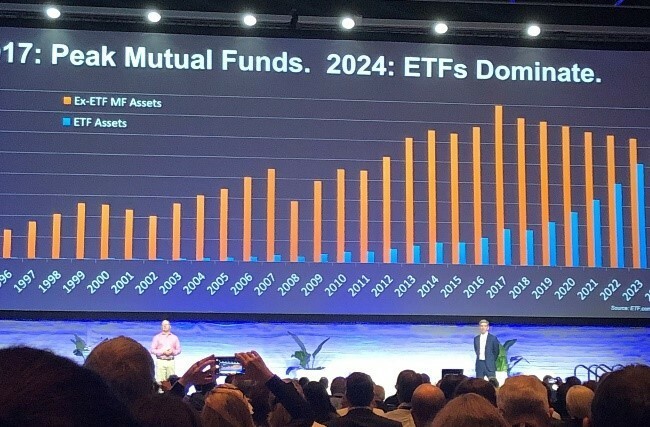 Additionally on the growth front, David Nadig and Matt Hougan shared that the date when ETF assets will surpass mutual fund assets is closer than they originally predicted. The chart below now assumes ETF assets to reign supreme by 2024. Despite all the growth, this year there was a strong recognition of the challenges present in the ETF industry. With fees continuing to decline, concentration in sponsor assets and gatekeepers becoming even more strict, it appears the industry has matured and become truly competitive. This year, new entrants have become realistic about their “hot new idea” and incumbents like Blackrock had a severely muted presence. Many of these challenges are good for investors, but will force the ETF industry to innovate to remain profitable. Over the last 25 years, the ETF structure has represented a fintech solution to many of the inefficiencies of the financial services industry. At this year’s conference, the fintech entrepreneurs returned. During the conference we met companies like Say.com who are looking to change the proxy process and promote share holder engagement. Also, companies like Sofi.com that have revolutionized student loan refinancing are looking to launch financial services platforms. Even David Nadig and Matt Hougan asked in their main speech “What’s next?” for the ETF technology.